The Grande Sonate Charactéristique in F minor, Op. 12, first published in 1802, is dedicated to Haydn, possibly in gratitude for the composer's reported praise of Eberl's opera Die Königin der schwarzen Inseln, which had just been staged in Vienna. 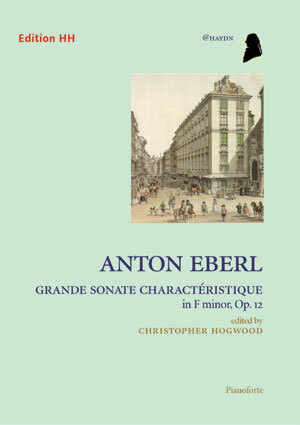 The title suggests that the Sonata's model might well have been Beethoven's Grande Sonate Pathétique, which had appeared in 1799; certainly, the dotted rhythms of Eberl's Grave maestoso introduction pay clear tribute to the earlier work.